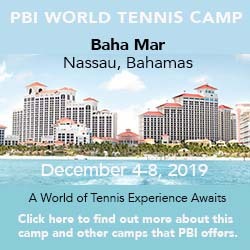 One of the first North American Club Meds to significantly upgrade both the quality and amenities of its rooms—the better to appeal to couples and adults—this Bahamian property best known for its diving also has 10 clay courts (3 lit). They've now added an optional tennis academy (90 minutes/day for beginners; 3 hours/day for stronger players). See the Club Med website for rates for the period you want to visit. There are free daily tennis clinics included in those rates. Here's what others have had to say about Club Med-Columbus Isle.